Have you ever noticed how wasteful we can be when we travel? Plastic bags. Ziploc bags. Travel-sized toiletries. One-time use cutlery. Etc. Also, I’m a very firm believer that what we put in our bodies, or in the least, on our skin, has a huge impact on our health. So in addition to decreasing waste, I’m also choosing products without the chemicals that are harsh on me and the environment. Let’s see what’s making the cut into my luggage this time around. There are so many types of wipes out there, I had no idea. 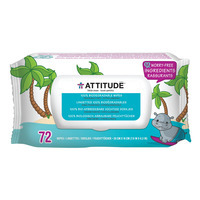 I like to have at least a small pack of wipes handy when I travel for those moments when a shower isn’t really possible, such as during long haul flights. I always choose to reach for baby wipes as I know that because they are made for babies, they often contain less harsh chemicals. Some are better than others, of course, and definitely not all are biodegradable. I look for ones that are sulphate, paraben and fragrance-free. The ones I’m trialing for my next trip are not entirely without some less than ideal chemicals but the best I could find at this time. I’ve travelled with soap instead of body wash before but never liked the hassle of carrying around a wet bar of soap. I do, however, think it’s less risky when it comes to spills than a bottle of body wash. Would you agree? I’ll be carrying my soap in an unbleached cotton sachet which is meant to absorb any moisture from the soap and (hopefully) keep things dry. This removes the need for purchasing a plastic soap container or plastic toiletry bottle for body wash. 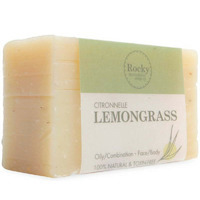 I look for soap that has minimal ingredients, is free of synthetic dyes and palm oils, and is scented with essential oils. I hope I’m not the first to tell you that just because something is labelled “natural”, doesn’t mean it actually is. To be honest, I’d be more weary of products that do contain this word than ones that don’t. I’m a minimalist when it comes to products I use on my skin. That applies to both the number of products I use and the number of ingredients in them. Recently, this has meant using face oils, such as rosehip or jojoba for both cleansing and moisturizing my skin. To minimize the risk of spills from carrying oils with me when travelling, I have chosen a multi-tasking balm instead. Because it’s oil-based, it cleans and moisturizes at the same time, eliminating the need for carrying a separate moisturizer. The product is eco-certified organic, has no synthetic ingredients and smells wonderful thanks to all the beautiful oils it’s composed of. I’m actually really excited to take this balm on the road with me and report back to you (*cough*nerd*cough*). Stay tuned. Oh the things they put together to give us the most long-lasting make-up! It’s pretty scary stuff - which you can read more about here. I haven’t worn eyeliner in a long time because whenever I would try to buy one, I would just get frustrated with the lack of safe options out there. The one below is as close as I’ve been able to get to something with clean ingredients without having to spend $40 on something I use sparingly. The ingredient list still states that it “may contain” mica, titanium dioxide and iron oxides, but what gives me some peace of mind is that at least these ingredients aren’t at the top of the list like in many popular makeup brands. And interestingly, Burt’s Bees claims to have sourced the wood needed to make this eyeliner from sustainable sources. That’s a really nice bonus, I think. 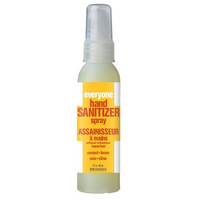 Hand sanitizer may just about be the product with the most unrecognizable ingredients out there - check your nearest bottle to see what I’m talking about. The personal use ones also tend to contain fragrances from synthetic sources - surprise, surprise. I’ve been able to find one that contains the minimum amount of alcohol content believed to be necessary to kill most germs (60%), and is fragranced by essential oils. I tend to opt for hand-washing whenever possible but like to have a small bottle (though wasteful) with me for when that’s not possible. What else will I be travelling with? My stainless steel water bottle, bamboo toothbrush and travel cutlery will also be accompanying me on this trip. I would also love to have a few reusable plastic-free bags for transporting clothing and shoes within my luggage. If you have tips on those, please leave me a comment below! Check back for an update on these products soon.